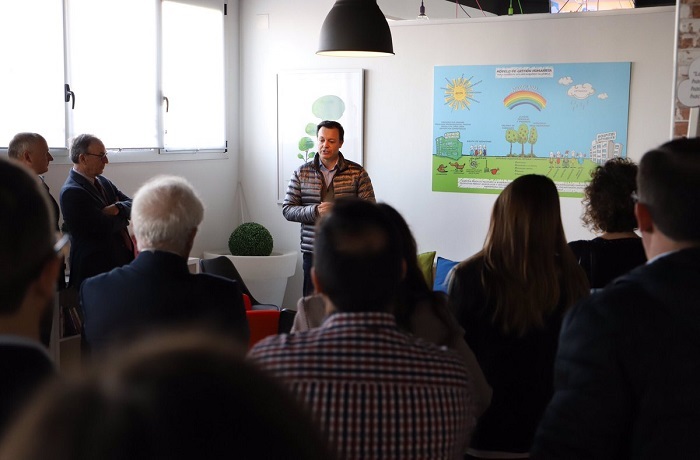 On 12 December, the Chair for Management by Missions and Corporate Government at UIC Barcelona held the 10th Business Meeting at Vygon, a company based in Paterna, Valencia. The event unfolded under the title Communication Experiences in Management by Missions. As part of the meeting, the speakers discussed ways in which they carry out communication in a Management by Missions setting within their companies and in their social and corporate spheres, with the goal of sharing and learning through good practices. Carlos Rey, the Chair’s director, paid particular attention to the need to connect with others by “communicating from the heart”. In this regard, it has been shown that business results improve when employees interiorise and become involved in the company’s missions, without simply working towards objectives. Management by Missions helps organisations create a competent corporate culture that encourages people’s involvement in a common project, with the aim of meeting the needs of the stakeholders: shareholders, customers and society. The 10th Business Meeting also served as a forum for attendees to put forward new ways of communicating Management by Missions both in and outside organisations. At present, the companies that sponsor the Chair are: Aitex, Ferrer, Semillas Fitó, Huf Portuguesa, Corporación Jiménez Maña, Industrial Química del Nalón, Estedi, Vygon, Funderia Condals and Emprépolis.